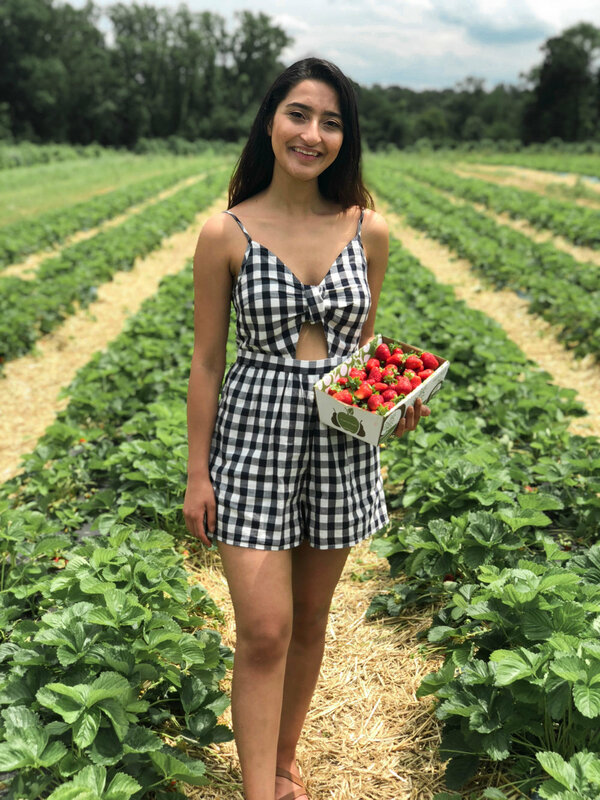 Strawberry Picking at Linvilla Orchards — Christine Celine. 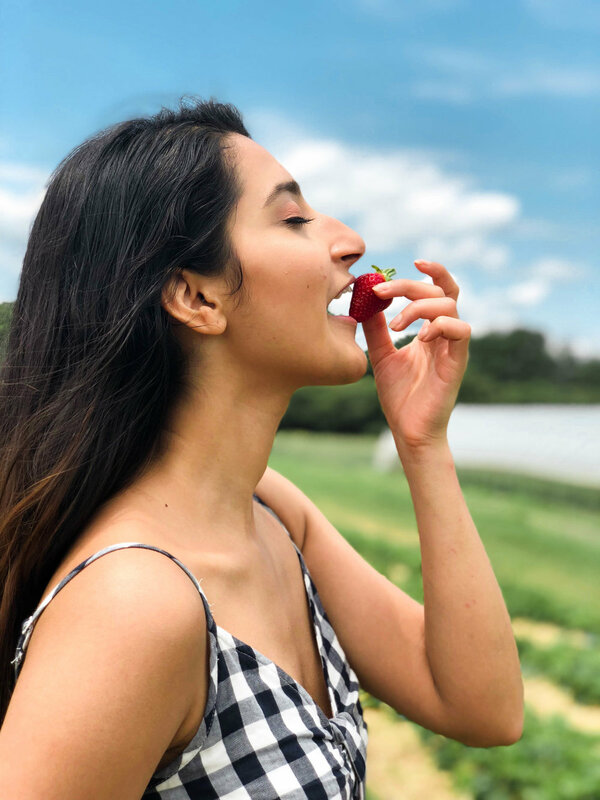 It's strawberry picking season & I am so happy to share my experience with my readers. I decided to make a quick trip out to Linvilla Orchards in Media, PA. It was a fun-filled and action-packed day for us. Keep on reading for a summary of my adventures around town! I began my morning with a Barre3 class with the credits saved up on my ClassPass app. ClassPass is such a great concept and I cannot get enough of it. If you live in an area that features the app, I highly recommend checking it out! The app allows you to sign up for fitness classes in different studios in your area. There are a couple of subscription options. First, $35/mo grants you around 5-6 classes depending on the credit value of the class at hand. Currently, I am on the Lite subscription which is $12/mo and grants me a class or two depending on the number of credits per class. The best part about the app is that it rolls over 10 credits should you not use them during the current cycle. Click here to get $30 off your first month! The class overall was so fun and a great way to begin my day. I participated in the 8:30am class with Jenny. The class was so refreshing, uplifting and motivational. I felt so refreshed and liberated after the hour was complete. It included lots of classic barre warmups and definitely incorporated some cardio, weight training and stretching which left me supple and limber after class. It makes SUCH a difference when you stretch before and after a workout. Trust me, you don't want to skip it! After freshening up and changing, we decided to grab brunch at Luna Cafe in Old City before heading out to Linvilla Orchards. I decided to throw on a gingham romper from American Eagle. I based my entire look around this piece because it was extremely on motif for strawberry picking. The airiness of this romper and the versatility are superb for summer. I paired the romper with some flat sandals and a denim jacket. The denim was a great option because it shielded me from the wind without too much weight. I was able to dress it down for strawberry picking and then switch out the accessories for a more evening appropriate look that I will elaborate on later. Linvilla Orchards is one of the closer farms outside of Philadelphia. It takes roughly 20-30 minutes to drive over which was ideal for our action-packed agenda. Upon arriving, we drove up to the area for U-Pick Strawberries. The entrance fee is $5 per person which also goes towards the fruit you pick in the end. Once you pay with cash, the staff will provide you with a wooden token which goes towards the fruit picked upon return. From here, trucks come frequently to pick up guests and transport them to the strawberry fields which are away from the marketplace and parking lots. It's a quick albeit bumpy ride to the strawberry field. The strawberry field had about 6 rows of fruit to pick from. It was early in the season when we went but the sun-ripened strawberries were abundant and plentiful. I promise your basket will be filled but please be patient and willing to search. Of course on busier days, many areas will be barren but there are pockets of fruit just waiting for their moment. We chose a medium sized box to share between the two of us and collected $9.90 worth of strawberries. I was surprised we were so accurate with our pickings. Once we were content we waited for the truck to return us to our starting point. We then weighed the fruit, presented our tokens ($10 total) and then went off for our next adventure. My last bit of advice is to check ahead on their website for the conditions and availability of your fruit of interest. They have abundant types of fruit ranging from apples, cherries, peaches, apricots, blueberries and more in addition. If it was rainy the day prior, the staff at Linvilla ensure to put down straw and other materials to reduce the muddiness in fields. Overall I thoroughly enjoyed my first experience picking strawberries and encourage you to try it out if you haven't. It was a great experience and I saw many families taking their children. I believe this experience is one for all ages however. Whether you're a baker, foodie, outdoors enthusiast, hanging out with your friends, family or significant other, Linvilla Orchards is a great family-run farm with various types of produce and fishing. After our adventure, we made a quick trip to the Gloucester Premium Outlets in New Jersey before returning to the city for Center City Sips. 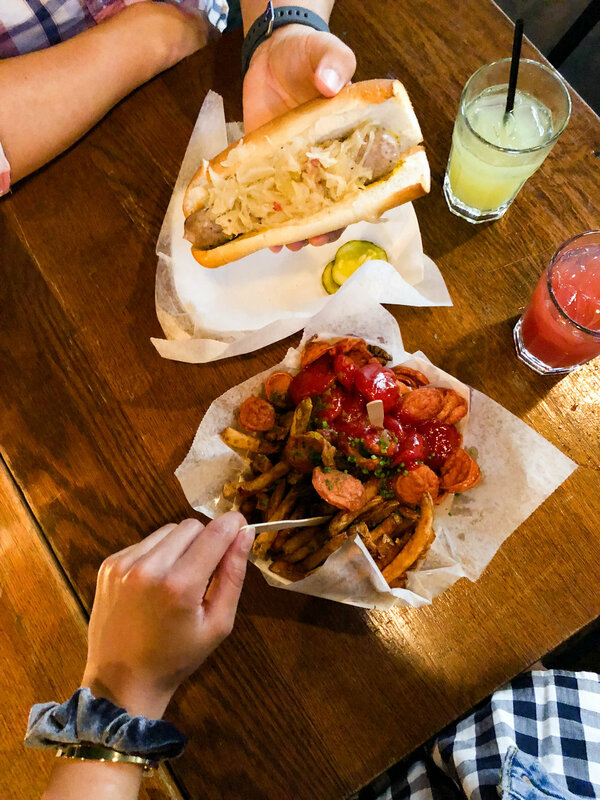 Center City Sips takes place at a variety of participating venues during happy hour on Wednesdays throughout the summer. Many restaurants provide an additional Sips menu and featured drinks. 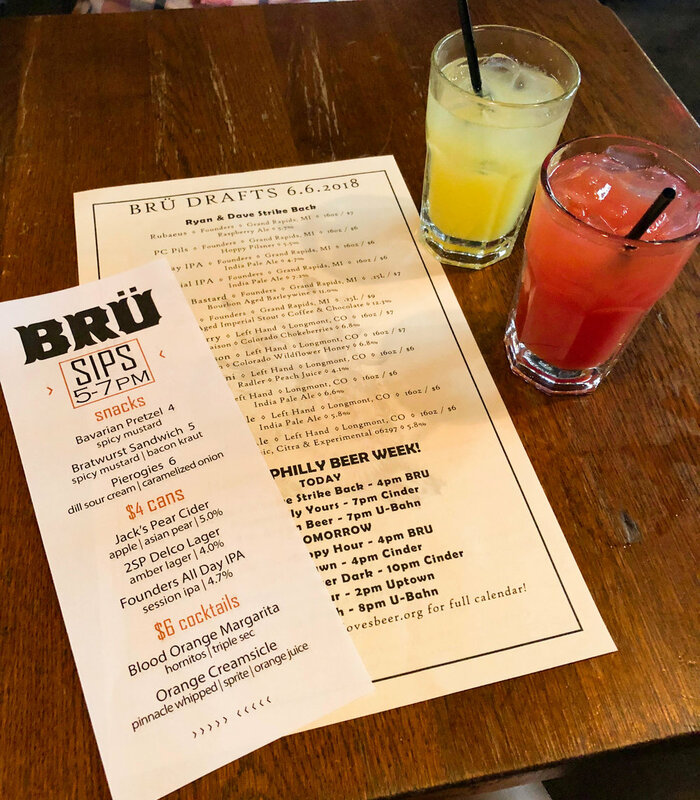 We decided to visit Brü on Chestnut St. It was a fun and packed restaurant with some nice German snacks and beer. In order to transition to evening events, I decided to switch out my flat sandals for some strappy heeled sandals from Target. I added the denim once again as well as some accessories. I've been loving my accessories from J. Crew and Francesca's so much lately. One piece I've been enjoying is a scrunchie which also serves multiple functions. If you always end up having a hair tie in you photos, a scrunchie is a great work around. They're cute enough to be accessories, are gentle on your hair and scalp and are super cute and very on trend these days. 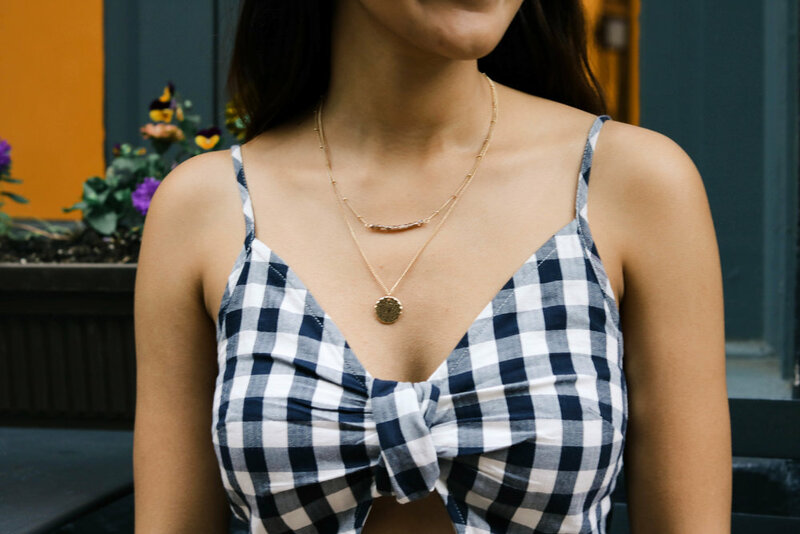 If you enjoyed my outfit details, be sure to shop the look down below! Also, if you wanted to see the outfit in motion, it's featured on my channel in a Weekend Outfits Lookbook & Vlog. I hope that this serves as some inspiration if you are looking for some things to do in the Greater Philadelphia Area. Let me know if you decide to go strawberry picking or if you made any great strawberry-based recipes down below. I'd love to read your suggestions! I hope you're having a wonderful weekend and I'll see you next week! FTC: This post is not sponsored but does include affiliate links.